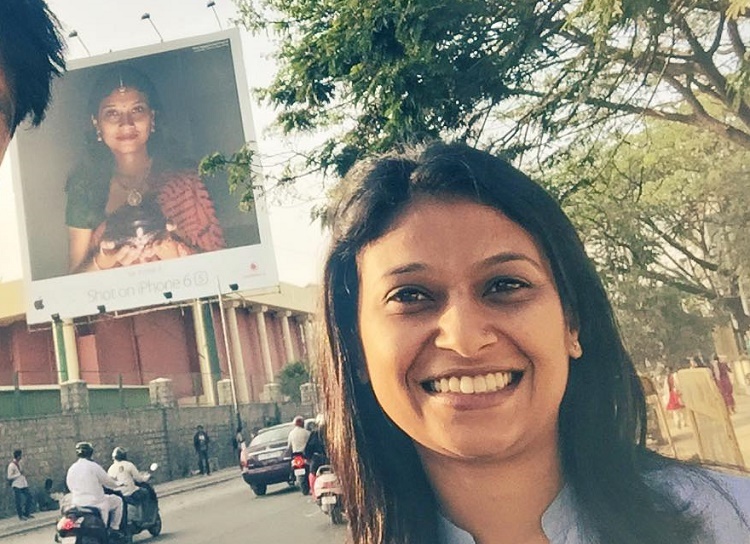 One year into his marriage and this Bengaluru-based man has already got his wife’s picture displayed all across the world. Thirty-six-year-old Ashish Parmar, who is a wildlife photographer, is the first Indian to win the “Shot on iPhone 6s campaign for the Apple World Gallery"contest conducted by Apple in December 2015. He posted a picture of his wife holding a lamp taken on Diwali day. His picture was one of the 53 images from 41 individuals Shot on iPhone 6s World Gallery comprised. 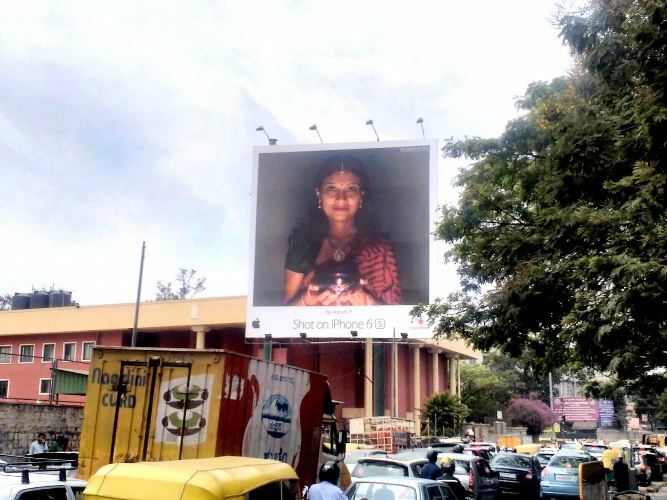 It is impossible for anyone to miss the huge billboard opposite Catholic Club on Museum road in Bengaluru. 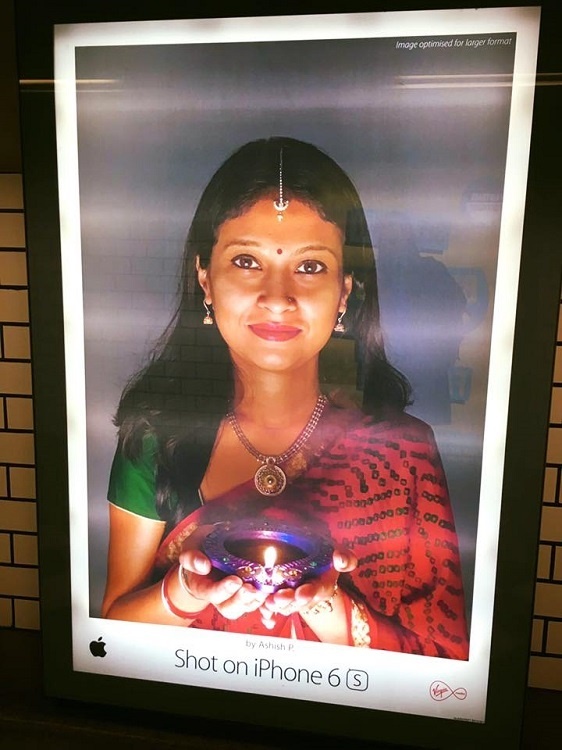 The picture of Raina Nanaiah, who works at a dental firm, looks like a modern twist to S.L Haldankar “Glow of Hope” or alternately titled “Woman with a lamp”. Ashish’s picture too has a similar earthy appeal to it. “I did not expect it. I just took the picture in November 2015. I posted it on Instagram in December 2015 with the hashtag #shotoniphone6s. A few weeks later I got a call from Apple’s advertising agency saying the photograph was shortlisted. I thought I’d tell Raina after the final result is out,” Ashish said. However, they were not in India when Apple announced the results. Many people across the world sent and continue to send Ashish and Raina pictures and selfies with billboards and posters in the background. “We set off to Tanzania for the inauguration of our resort and we hardly had any data connection or even signal. On February 1, when I managed to get some connection to check my mail, it came as a huge shock to me. I was flooded with congratulatory messages from friends from across the world. They were sending selfies with the poster,” he said. “I didn’t know whether to celebrate the opening of the resort or this. But it was a good treat for my wife as well,” he said. “My workspace is usually a serious environment and this was the last thing they expected me to do. When I got back from my holiday, I had my colleagues asking me ‘Is it really you madam?” said Raina. “We have been grounded about it. 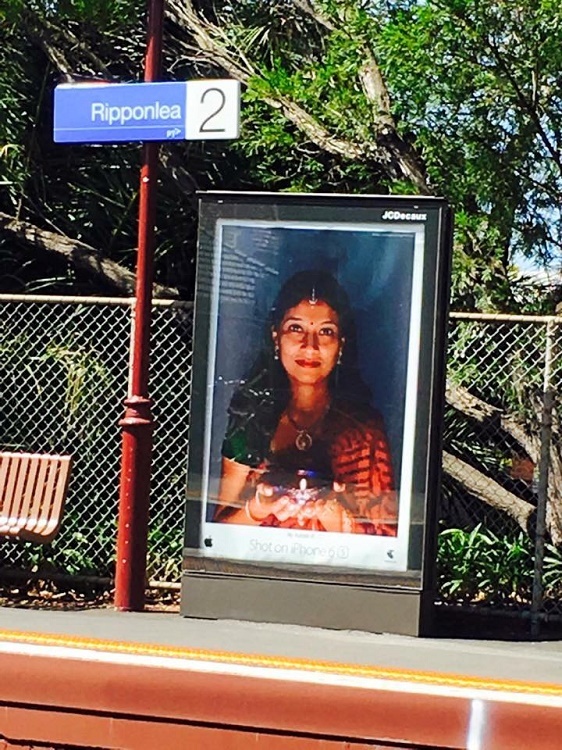 Not many know or recognise me as the woman on the billboard, maybe it is because of the lighting and the Indian attire,” she said.